The final table of the 2015 World Series of Poker Main Event has been reached. Known as the November Nine, the poker world will dedicate a significant amount of time over the next three months to analyzing each player and their chances to win the richest prize in poker. Coming in as one of the short stacks is Brooklyn professional poker player Patrick Chan. He is a lesser-known grinder that focuses more on live play than online thanks to Black Friday. However, with New York possibly considering expansion to online poker, Chan could become the new face of poker in New York if he were to make a deep run in the November Nine. Patrick Chan began his poker career by playing online poker tournaments prior to Black Friday. After the DOJ shutdown in 2011, Chan was forced to transition more into live online poker. His first live tournament cashes began in late 2012 and prior to the November Nine, he had amassed over $500,000 in career cashes. 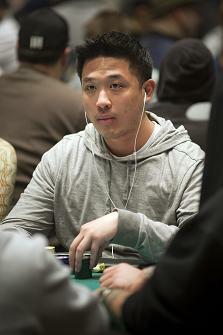 In 2012, Chan finished third in the Borgata Fall Poker Open Main Event, earning $131,895. Last year, he had his first deep run in a WSOP event when he finished 12th in the Millionaire Maker. He earned $100,689 for that finish. Earlier this year, Chan finished runner-up to Loni Harwood in the Parx Casino Big Stax Championship, earning $71,449. He also finished runner-up in a $580 Circuit Ring event at Foxwoods prior to the WSOP. 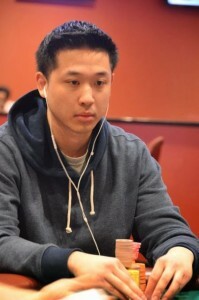 Earlier in the summer, Chan went deep in the $565 Colossus Event, finishing 226th. Navigating through that field of over 22,000 players helped to prepare him for the monumental task that was the WSOP Main Event. Now, Chan comes into the November Nine as the second shortest stack. He will return in November with $6,225,000 in chips, which is a stack of 15 big blinds. While he will have little room for error, a single double-up can put him back solidly into contention for the bracelet. Could a Deep Run Make Him the Face of Online Poker in New York? With a deep run at the November Nine final table, Patrick Chan could position himself to be the face of online poker for New York when the state legislature revisits the issue in 2016. Chan was a regular online poker player prior to Black Friday and still occasionally will travel outside of the United States to play online. His celebrity status could help pro poker activists promote the game in a positive light in the state. The difference between Chan and other poker “celebrities” is that he isn’t already being paid by a company to promote poker. He is grinding on a regular basis to earn a living. He can personalize the game of poker for the average citizen in the state and even for lawmakers that may not understand why poker is a big deal. Chan hasn’t come out saying that he is interested in promoting online poker, so this is all speculation. However, one can assume that he would be willing to try and help to bring the game back to New York or even other parts of the United States. After all, legalized online poker in New York gives him another revenue stream. A Main Event win would be amazing as it would further show the potential of poker for New York. While a Chan win may not be on the same level as Moneymaker’s win in 2003, it could help to usher a new era of online poker into New York. Tagged 2015 November Nine, 2015 WSOP Main Event, 2015 WSOP November Nine, New York Online Poker, November Nine, Patrick Chan. Bookmark the permalink.